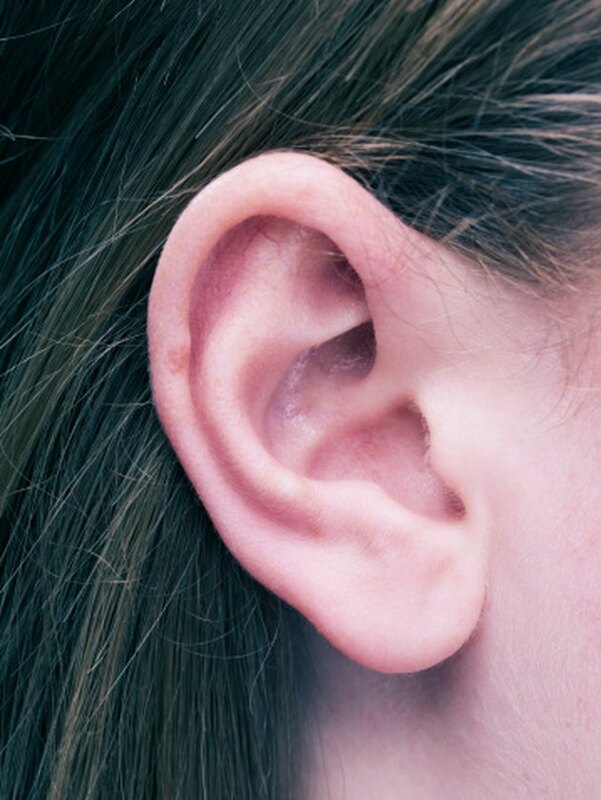 Pressure in the ears, also known as aural fullness, can be caused by a number of reasons, most of which are temporary and disappear on their own. According to Dr. Douglas Hoffman in his column AllHealth.com, consulting a doctor might be a good idea if you can't pinpoint the cause of the pressure or if you're experiencing other symptoms, such as pain or hearing loss. Try an over-the-counter decongestant. If you're suffering from a cold, allergy attack or sinus infection, the pressure might be due to a malfunctioning Eustachian tube, according to KidsHealth. The Eustachian tube is responsible for equalizing air pressure. When you have a cold, it can become blocked. Take antihistamines or try try a product meant to stop a runny noise to help you ease the congestion and relieve ear pressure. Yawn. According to MedLine Plus, yawning forces air to pass through the eustachian tube, equalizing air pressure and relieving pain and discomfort. You might need to do this a few times before the pressure disappears. Sometimes opening and closing your mouth repeatedly also works. Swallow repeatedly. Try drinking a glass of water, sucking on candy or chewing gum to relieve pressure. If you don't have anything at hand, even saliva will help. Just gather some in your mouth and then swallow. Inhale and then pinch your nose and close your mouth. Try to exhale without actually letting any air out. The effort made should "pop" your ears and relieve pressure, according to MedLine Plus. While most cases of air pressure buildup are due to simple things, like being on an airplane, this can also indicate an infection or a middle ear fluid problem.